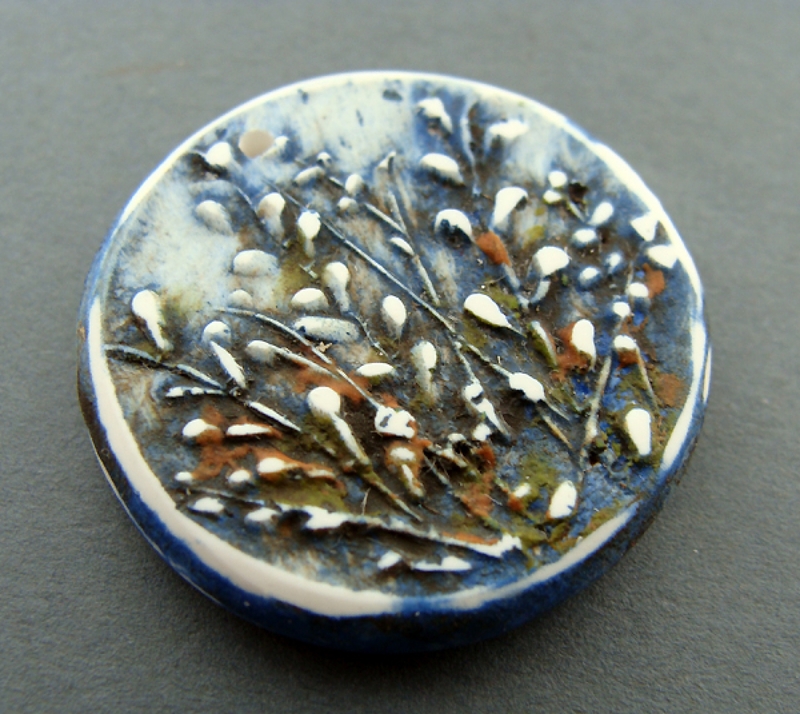 A field of willows and wildflowers against a painted sky adorn this pendant. Sweet and light this delicate hued focal bead will look beautiful with wood, stones or pearl beads. The polymer clay clasp started out from an original carving and hand painted for a watercolor effect. The paint is sealed with a protective finish. Choose from Dawn (light blue), Sunset (melon) or Midnight (navy blue). The pendant measures 1 1/4" (33mm) and 5mm thick. A hole is drilled at the top of the pendant, use a jump ring or wire-wrap a bail.